Why is Irma Boom’s work relevant for the MoMA collection? 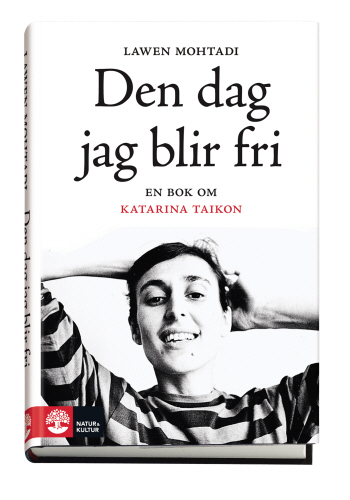 Quite simply, her work epitomizes the very best in design – graphic, book, or otherwise. It manifests itself in books, apparently, but every single book is a memorable explanatory/celebratory object for which being a book is just a pretext for existing. Even in very complex projects like her SHV Think Book Irma is both elegant and economic with her design choices. And she has pioneered and been successful in a field – design at large – that, even now, is still struggling for gender parity. What is your relation to Irma Boom work? Do you have personal favorites among her work? I have many favorites among Irma’s work, and we have most of her work in MoMA’s collection. I just took a look at our database at the museum just now in order to reminisce, and it made me so happy to see the bold, experimental covers of Irma’s books (we have about 100 of them) staring back at me like old acquaintances. For example, we are proud to have her masterful tome for Sheila Hicks’s exhibition that happened at the Bard Graduate Center here in New York in 2006 (Sheila Hicks: Weaving as Metaphor). The book has the most gorgeous, tactile rough-cut deckle edges, and a pure, white cover that is quite sublime. Perhaps my particular favorite, though, is a very personal one: the design of the catalogue for a really seminal exhibition for me at MoMA, Design and the Elastic Mind in 2008. It was great to have a chance to work together. In the acknowledgements for the catalogue I thanked Irma for her “hyper-elastic mind” and called her out as “one of the most inventive and perceptive designers in the world, able to straddle space and time to produce an amazing visual synthesis of ideas.” I think I said it pretty well in 2008, so I’m going to let it stand! Tell us about your first meeting with Irma Boom. It feels like I have known Irma forever – when you asked me this question I tried to cast my mind back to our very first meeting, and I simply cannot. So my answer must be “forever,” which is a very happy thought. 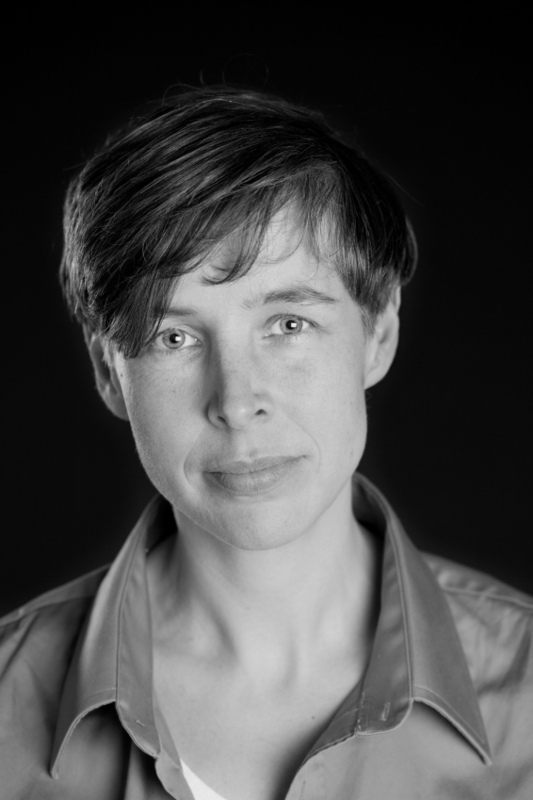 Tell us about your first meeting with Irma Boom? Hans Ulrich Obrist first introduced me to her. 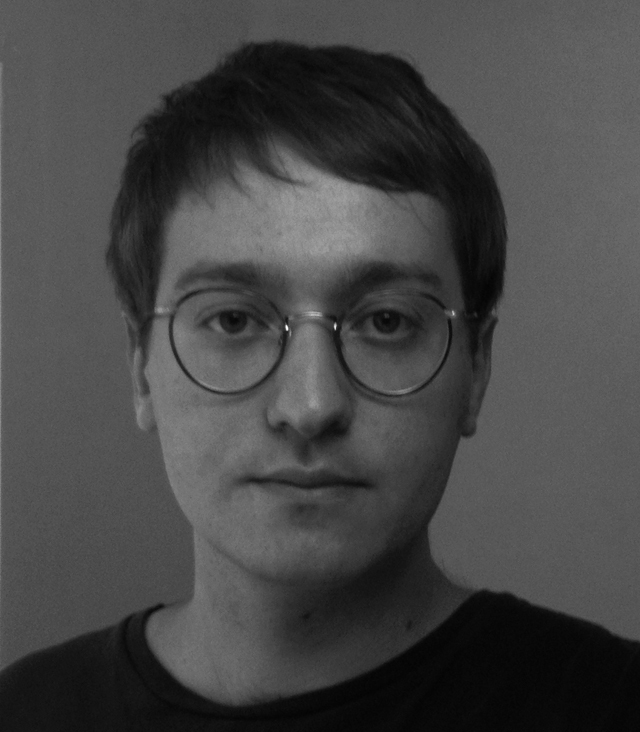 »We urgently need Irma to design the catalogue for the Fondation Louis Vuitton show«, he wrote. She came to my studio, in Berlin. We talked about the show and when she came back to the second meeting, she brought with her a mock-up for the catalogue that included changes that reflected exactly what we had been working on for the exhibition, even though she could not have known what we had changed – it was a magical connection. What was your relation to Irma Boom work’s before this project? I had heard about her work and about her how she works on books as objects, focusing on the book in terms of its performativity. The doing is in the book, rather than the book presenting something that has been done. What part of Irma Boom’s work do you find most relevant today? She takes the content she works with very seriously. She looks at what the artworks do and brings that doing into the book, and that constitutes the core of the book. Irma is daring, non-compromising in a charming and convincing way. Although it is often a cliché to say that someone is passionate about what they do, I believe it is entirely accurate to say that Irma is truly passionate about following a design idea from beginning to end in the face of whatever challenges that may arise. How was the process behind the catalogue and your cooperation? Irma is a great thinker and it was inspiring to see how she thinks through design. I can’t wait to do another book with her. 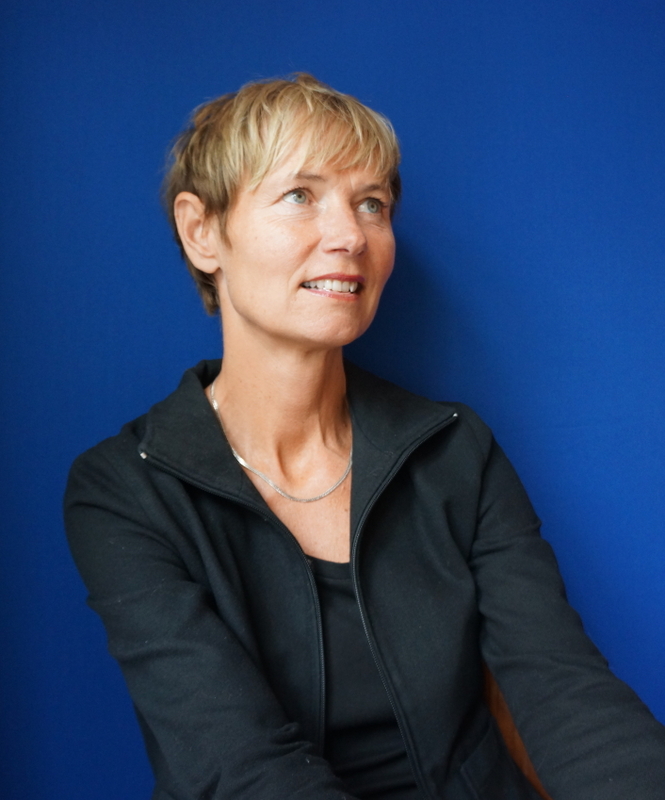 We can’t wait until November 12, when Swiss graphic designer Rosmarie Tissi will join us for a design talk at ArkDes in Stockholm. From the Hall of Femmes circle, we asked Paula Scher to tell us more about her admiration for her colleague and friend. 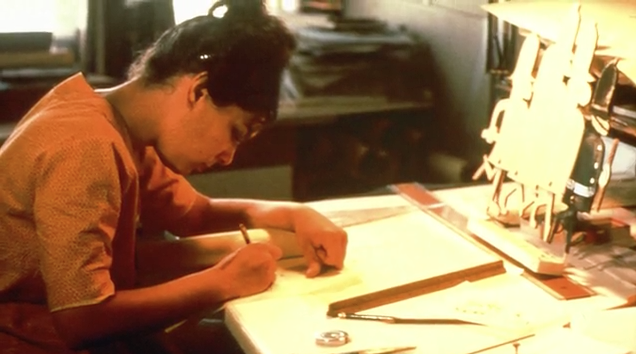 When did you discover Rosmarie Tissi’s design? What impression did it make on you? I saw Rosmarie’s work in various publications and annuals in the early and mid-80’s, probably in the magazine Graphis. I remember seeing an article on Odermatt & Tissi, and was surprised to find out that Tissi was a woman. I loved it and thought it was very contemporary. I always assumed that everything was designed by men, because in the publications and annuals of that time, it usually was. Tell us about your first meeting with Rosmarie? It must have been in Mexico, probably either on a jury of a show, or at a group poster show. She actually liked to travel without Siggi (Odermatt), her by then long time partner. She used to go on extensive vacations by herself, after working all year with him. She didn’t mind traveling alone – I did, but got over it. I remember admiring her independence. We also were together for a large group poster in exhibit in Teheran in the 90’s, both very upset about having to wear the stupid scarf over our heads every day. It was surprising how much that affected us. I cried the first morning that I had to put it on, and Rosemarie had the same reaction. Some of it was vanity and some of it was rage. What has your friendship with Rosmarie meant to you as a designer? Rosmarie was my first female, European design friend. I sometimes saw her at AGI (Alliance Graphic Internationale) where there were very few women members – more so now, but still, not enough. I was inspired by her work because of its modernity, its beauty and precision, but was also inspired by her as a person. I admired her confidence and independence. She was opinionated about work, and savvy about the design community. 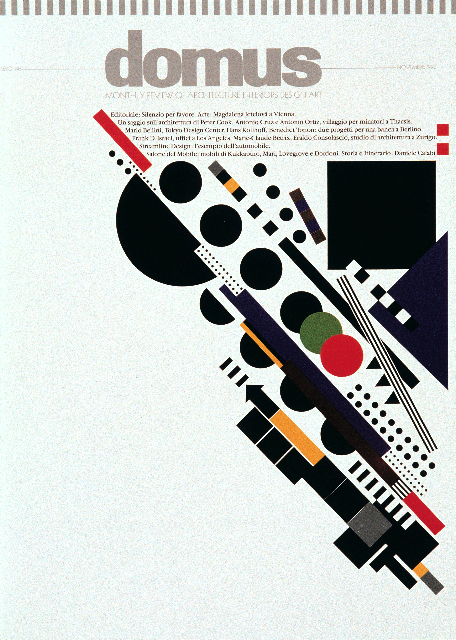 I learned that Swiss poster designers are very competitive and not very nice about it, but I remember that she helped younger designers receive recognition. She also had a clear handle on old boys clubs. When she traveled to conferences and exhibitions, she was often the sole woman among a powerful group of male designers, who considered themselves peers and would even exclude her from the group. She never let it undermine her. She had a strong belief in her own talent and accomplishments, and viewed the work of some of the men for what it was. What part of Tissi’s work do you find most relevant today? I suspect Rosmarie is about to have a whole new wave of popularity. Her work still looks incredibly fresh and modern. The color, scale, proportion, use of imagery is impeccable. I also like her type design, she designed three faces that are pretty cool. Her posters are dynamic, powerful and gorgeous. She’s classic. Do you have anything to say to those who are not familiar with her work? 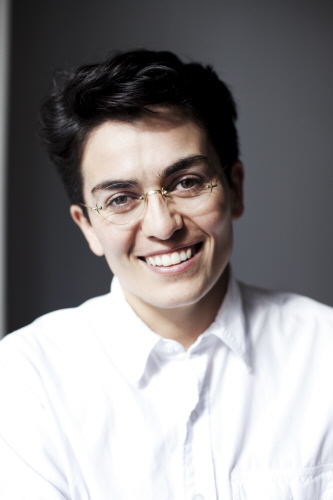 Apart from checking out Rosmarie Tissi on the Internet – meet her at the Kolla! 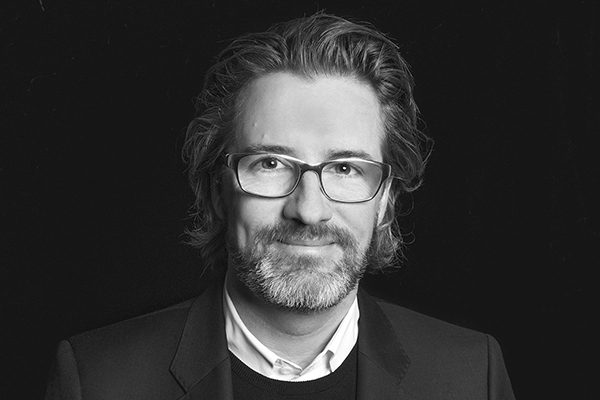 talk at ArkDes on November 12, during Kolla! Design Awards. Tickets available here. Read more about Paula Scher, a fellow classic, in the Hall of Femmes book on her work. Stay tuned for more praise and inspiration, from one creative to another, under the tagline L’Hommage. Deborah Sussman at the opening of the exhibition Deborah Sussman loves L.A. Photo: Laure Joliet. On the 20th of August, graphic and environmental designer Deborah Sussman passed away, at the age of 83. The Brooklyn born designer was the woman behind groundbreaking work in environmental design, just recently acknowledged in a retrospective exhibition called Deborah Sussman Loves L.A – her designs still being very much part of the landscape of her adopted home town. 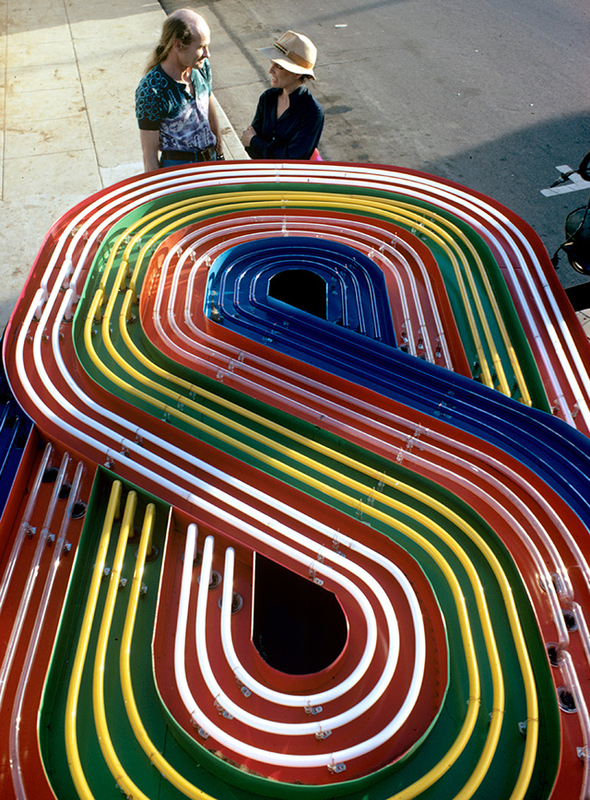 Her most famous work includes the large scale graphic identity for the 1984 Olympics in Los Angeles, which paved the way for a whole new platform in graphic design as part of the public space. 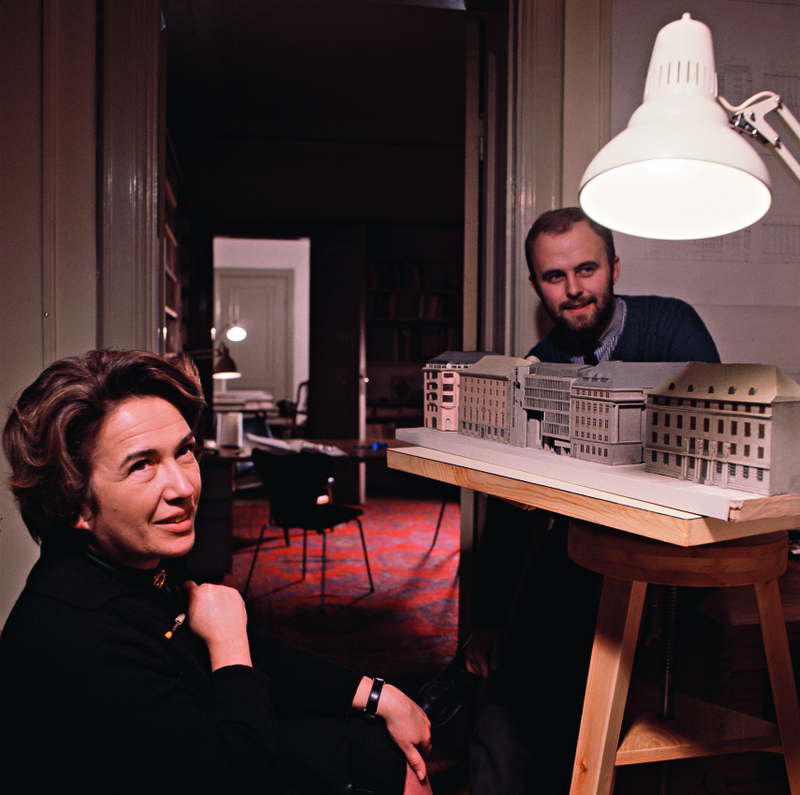 She also worked at the Ray and Charles Eames office, and founded the agency Sussman/Prejza in 1968, together with her architect husband Paul Prejza. 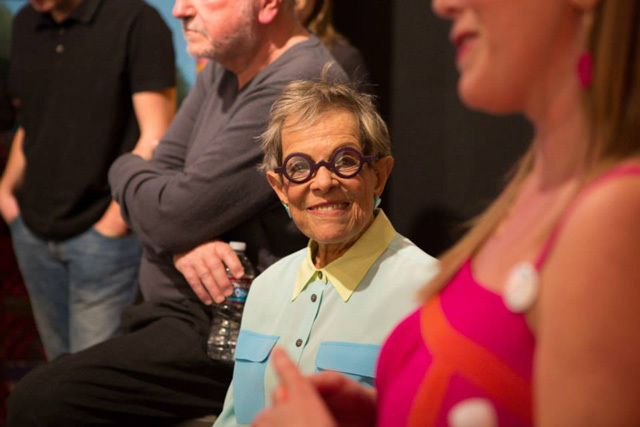 Since Deborah Sussman’s name has probably been less known than her iconic work to most, a few enthusiasts started fund-raising to make a show in honor of her achievements. The exhibition took place at the WUHO Gallery in Los Angeles earlier this year, just months before her passing, and became noticed far beyond the channels of the advertising/design industry. The exhibition was curated and organized by Catherine Gudis, Barbara Bestor, Thomas Kracauer and Shannon Starkey. 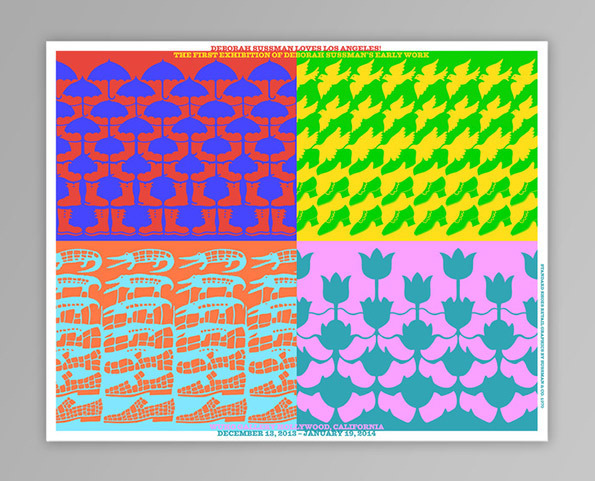 Thomas Kracauer’s poster for the exhibition Deborah Sussman loves L.A. The team behind the exhibition, Paul Prejza and Deborah Sussman. Thomas is to the left. Photo: Laure Joliet. What was your relation to Deborah Sussman’s work before this project? 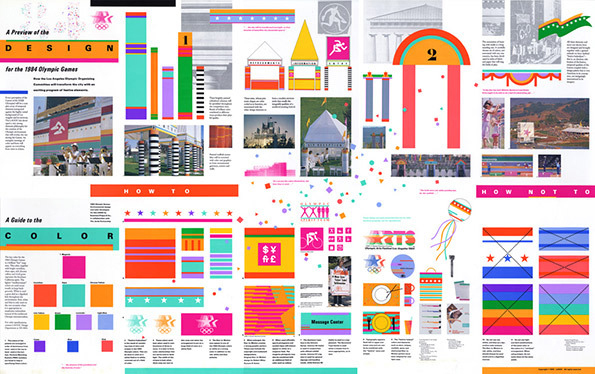 Before we started talking to Deborah about her work, and digging through her archives, I was only familiar with the work she carried out for the 1984 Olympics and a few recent projects around Los Angeles. I have always gushed over the Sonotube designs. Before seeing them at the Getty last year at the Overdrive show I wasn’t aware of that every day I encounter signs, buses and structures in Los Angeles designed by Deborah and her office. How did the idea for this exhibition first arise? What was your interest in the project? 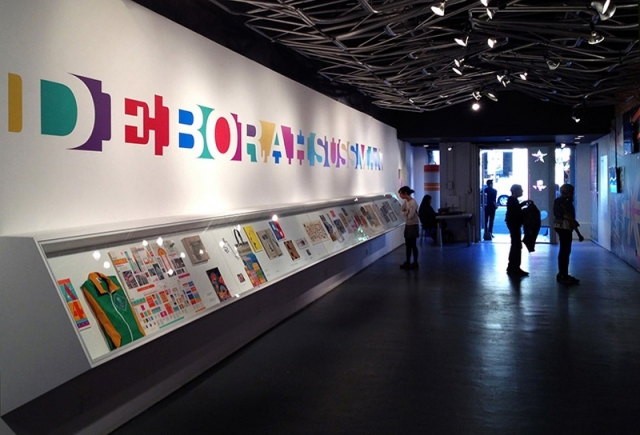 It was the architect Barbara Bestor’s idea to do a show about Deborah’s work; we just didn’t know what kind of show. After collecting material we decided to focus on her work from 1953 to 1984, Eames Office to the Olympics. When the project started I was extremely excited to get to design an exhibition about such an important character in Los Angeles design – she was one of the best subjects to design an exhibition about since a lot of her (and Paul’s) work was spatial. It was great material to craft messages in space. There seems to have been a bit of a buzz about the exhibition even before it opened, because it was crowd funded – what were the advantages of doing the project this way? I think the buzz wasn’t because it was crowd funded, but because it was a long time coming for a dedicated show about Deborah’s work. The 1984 Olympics was her most well known contribution to the city, and now a new generation was able to experience her work from the 50s, 60s and 70s. Barbara Bestor said in an interview that part of the intention with the exhibition was to bring the designer’s work into the Pinterest age – what would you like for people to see and take away from the exhibition? The element of joie de vivre that is so apparent in all her environmental work. 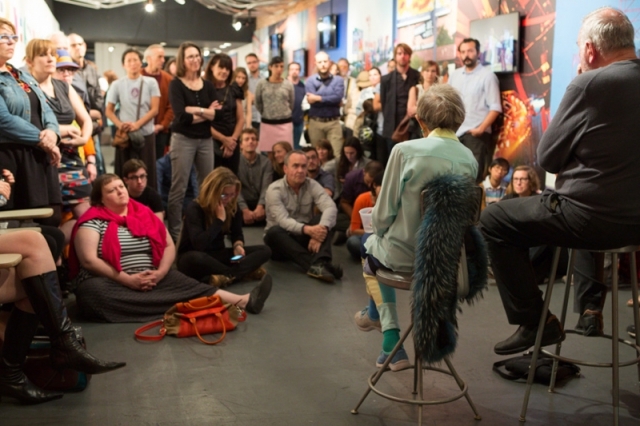 The title of the WUHO Gallery show was Deborah Sussman Loves LA – how would you describe Sussman’s Los Angeles? So much of Los Angeles is Sussman’s. Driving through downtown you can see her work at Grand Avenue Park and signage for office buildings. On the highway you’ll drive past a FlyAway bus with the logo designed by S/P (Sussman/Prejza). Santa Monica and Culver City’s urban branding were done by S/P, and soon you’ll be able to see their work in the Willowbrook neighborhood. Many Metro stations are coated with S/P designs. Every show about the Eames has echoes of Deborah’s contributions. It’s actually really hard to go a day in Los Angeles and not see Deborah’s (S/P’s) Los Angeles. And that’s just what you can see today. 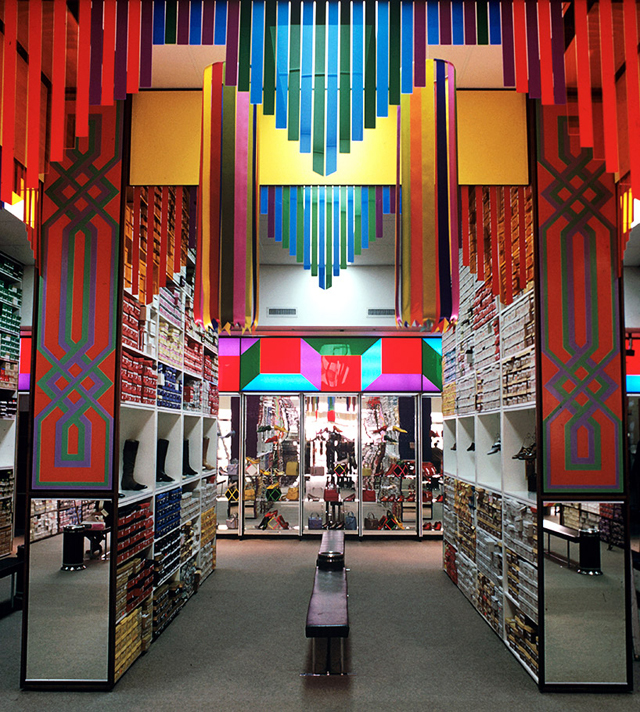 Her work on such culturally significant stores as Standard Shoes, Joseph Magnin and Zody’s were dazzling Angelenos in the 60s and 70s… Deborah has always been a pioneer in improving the visual culture, street culture and shopping environments of Los Angeles, and we’ve all benefited. She was incredibly generous with her creativity. Deborah Sussman and exhibition visitors. Photo: Laure Joliet. All images by Joliet borrowed here, and more photos from the exhibition can be found here. Deborah Sussman at the Eames office. Photo from this video. 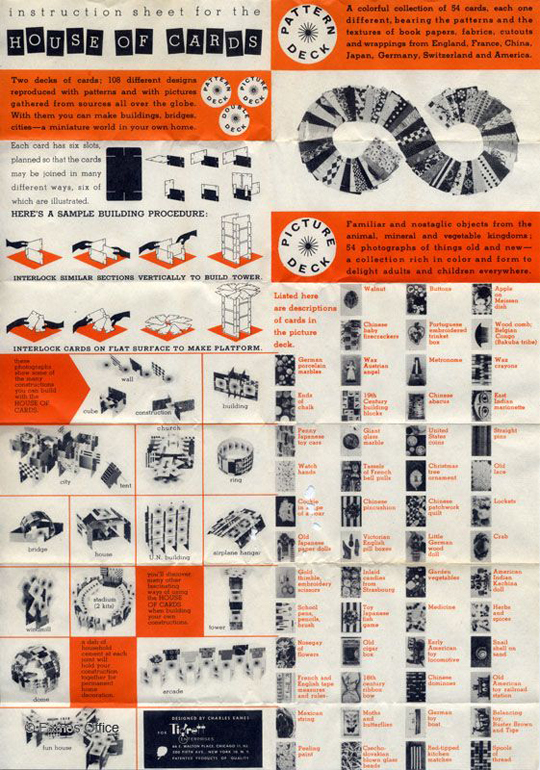 One of Deborah Sussman’s first assignment at the Eames office was designing the instruction paper for House of Cards. L’Hommage is an interview series about people who highlight and promote people they admire and their work, thus spreading their inspiration. 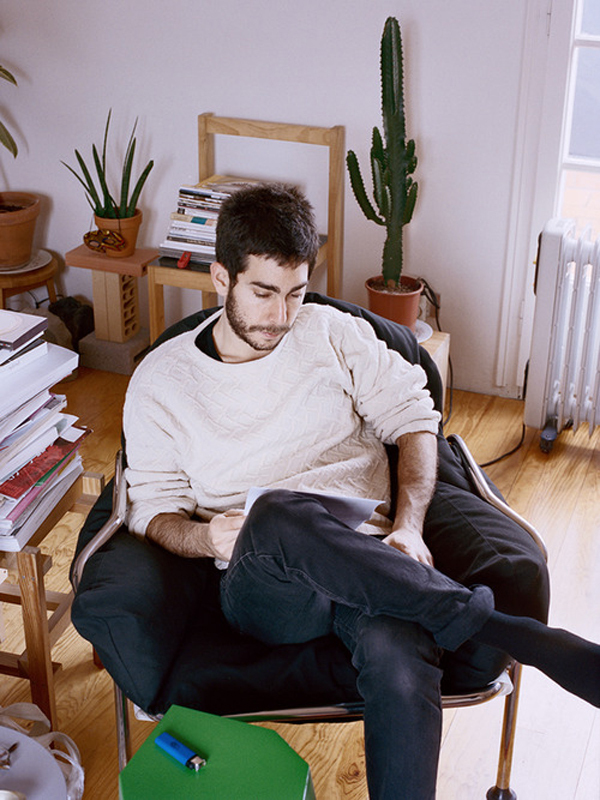 Omar Sosa is an art director, designer, and one of the founders of now world-renowned interiors magazine Apartamento – which often features creatives and their homes and workspaces. One of the people who’s been featured in the magazine is Nathalie Du Pasquier, who’s coming to Stockholm for the Hall of Femmes seminar on February 3. We called Omar up, on a busy day in Apartamento’s Barcelona office, to find out more about his projects with Nathalie. Omar Sosa, art director Apartamento magazine. Photo: Osma Harvilaht. Tell us about how you first came in contact with Nathalie. In 2009 I saw some paintings she had made – they were still lifes, peculiar arrangements of little objects. They were just beautiful and I told the gang at Apartamento about it. 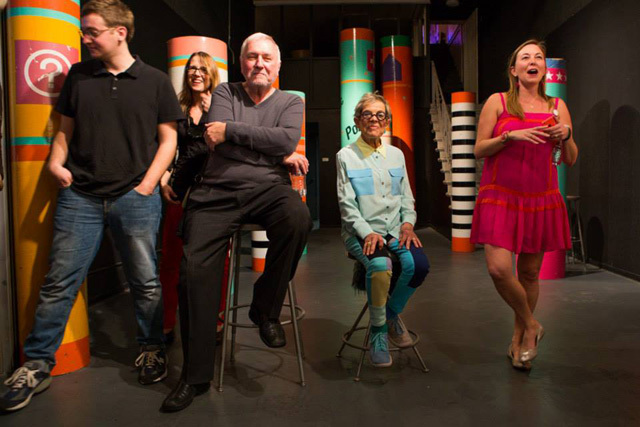 A few days later I found out that she was one of the founders of the influential Memphis Group in the eighties – I didn’t even know about that part of her work at first. Apartamento co-hosted an exhibition of Nathalie’s in 2011; featured an interview with her in issue #8; you collaborated on a design project of playing cards; and now you’re finishing a book on her drawings. What intrigues you about her work? Her paintings were my first interest. She sometimes says that designing and painting involve different parts of her brain. But what interests me most about her work is her way of doing things. She is not about analyzing or planning – she is so immediate about her work, and extremely fast and creative. I suggested we do a book with her paintings and drawings. Going through her archives has now resulted in a 350 page book with works never yet published or produced. We are now in the process of finding the right publisher. Hopefully, the book will be out in 2014. 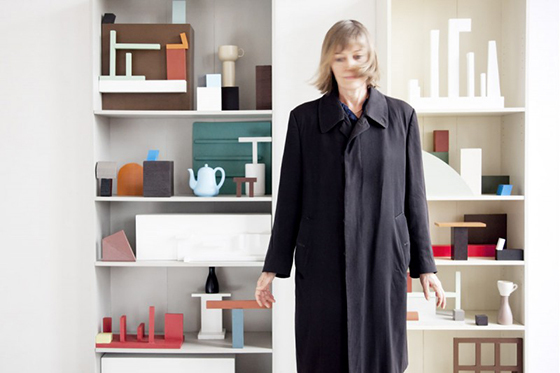 Nathalie Du Pasquier in Apartamento. What has your acquaintance with Nathalie meant to you as a designer? Well, she has had an influence on me in the use of color. A while back, most of my designs were in a black-to-white scale. I use color in designs more since I met her. But, more importantly, she’s had an influence on me as a person. Her fantastic personality is what captures me most. She has such a good energy about her, so fast and productive. She likes to explore things by doing, rather than thinking about them. All that is so inspiring to be around. So her influence on me is more on a personal level. What part of her work do you think is most relevant today? 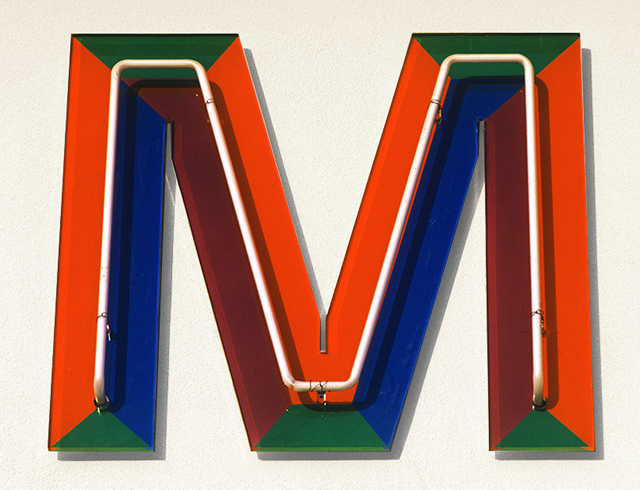 Well sure – her pattern and design work as part of the Memphis Group were extremely influential at the time, and continue to be. In the last decade many things reminiscent of that style have been popular, it’s a strong trend. But that’s not what is most prominent about her potential as an artist; her body of work is so much more, she continues to explore. I hope to show that she is continuously developing. I’m very excited to see what she will do in the future. Tomorrow, Nathalie Du Pasquier is one of the speakers at the seminar »True freedom can only be collective« at Arkitektur- och Designcentrum (The Swedish Centre for Architecture and Design) in Stockholm. Tickets 150 skr available here.